There are a lot of moving parts for a solo law practice and a large law firm so becoming efficient with your appointment processes is crucial to your success and for your clients. One of the largest problems law practices face are missed appointments. 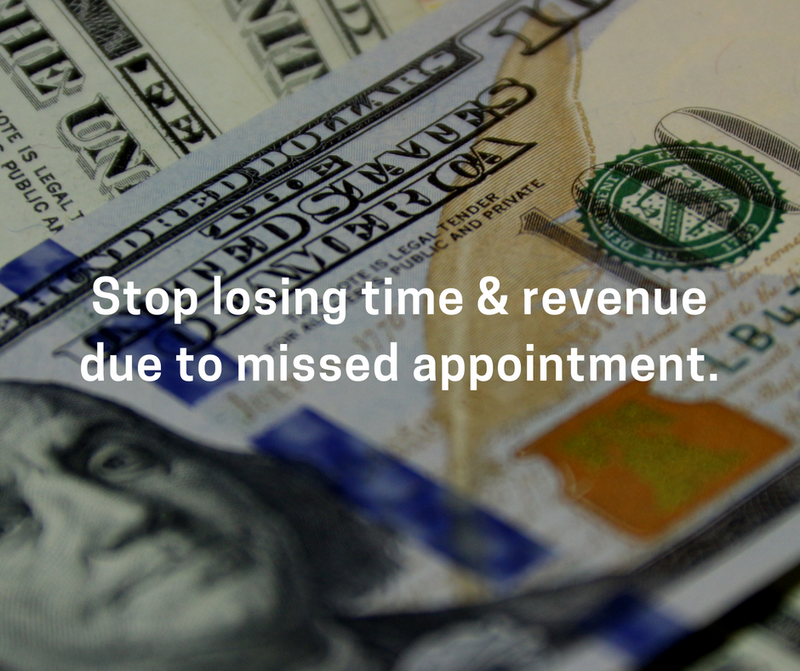 Missed appointments cost your law practice time and money. Your time and your staff time which could be spent on other cases or office tasks...all lost because your appointment forgot about the scheduled meeting. Not to mention the time it takes a staff member to either call or email the client(s) to remind them only to leave a voicemail and hope the email actually gets read. These problems could be solved by leveraging text messaging (SMS) to send appointment reminders and important case announcements. Using SMS to reduce missed appointments. One of our law firm clients, who specializes in employment & labor law, started using Revvi to save staff time and reduce no-shows by using text message reminders. Their old process could take 20 minutes one day and an hour or two the next depending on the number of appointments. They would call the day before which was sometimes followed up with an email. Most of the time they ended up leaving a message about the appointment. Did the client actually take the time to listen to it...who knows. Did the client read the email? Again, who knows when the open rate for emails is so low. The change....using Revvi and SMS to send the appointment reminder so the client could quickly confirm, cancel, or reschedule. If the client cancelled or rescheduled, the staff member would by notified immediately so they could call and setup a new appointment time. After they started using Revvi, a couple of valuable results happened. They saved two (2) - four (4) hours a week by removing the need to make phone calls and they have reduced their no-shows by 28%. This was all achieved by simply introducing text messaging into their communication process through Revvi. Another benefit of Revvi they discovered, was the ability to easily and quickly send important case announcements to their clients by text message. This removed the need to make phone calls and send additional emails. As an employment & labor practice, one case could be for a single employee or fifty employees so streamlining the communication process is essential for them. One of the nice features of Revvi’s appointment reminders, especially for initial consultations, is the ability to attach the attorney’s profile picture to the reminder. This is a great personal touch they are doing which has been received very well. Now the prospect has a face to the name which is always an added benefit when meeting someone for the first time. How else are they using Revvi? Their next step with using Revvi is start growing their reviews to improve their Google ranking while building more brand trust in their local market. Revvi allows your clients to quickly and easily rate their experience with your law practice and write an online review. If your law practice would like to start saving more time and reducing the loss of money, please contact us. We would love the opportunity to discuss how Revvi could improve your practice.